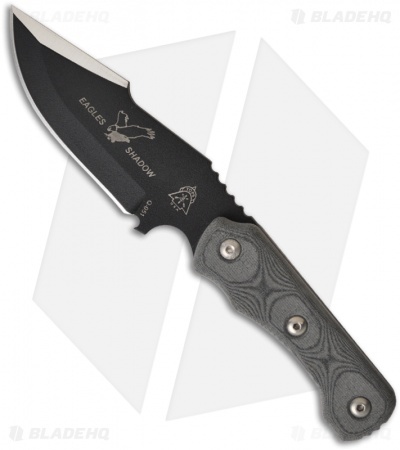 The Eagles Shadow has you covered with its solid 3/16" thick full-tang build and comfortable ergonomics. 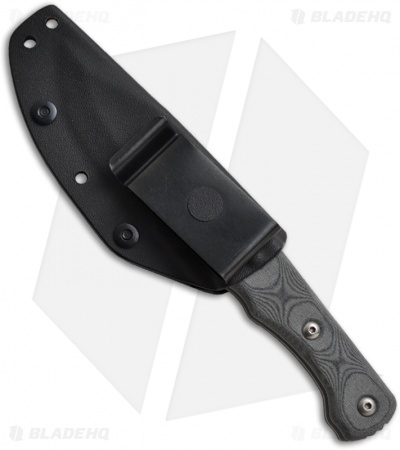 It features a clip point style blade with a tactical black coating and satin swedge grind. The handle has thick black linen Micarta scales. Includes a black Kydex sheath with pivoting steel clip.